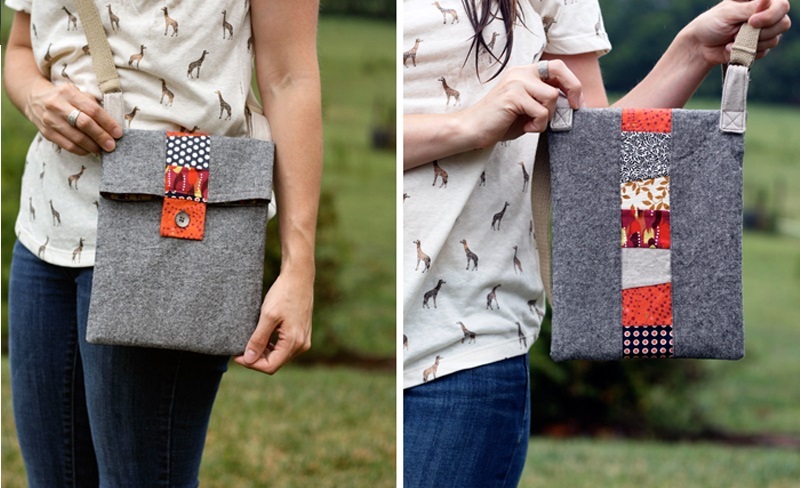 Today at pretty-ideas.com we want to show you how to sew very useful Scrappy Stripe tablet bag. It’s very comfortable, because you know that your tablet or smartphone if you make a little one is safe. So you should try, because this bag will make your life easier. You can remake design or change colors as you like. When you paying lot of money in your tablet you should defend it form damage, so this bag is best one. It will be great present for everyone in our time.